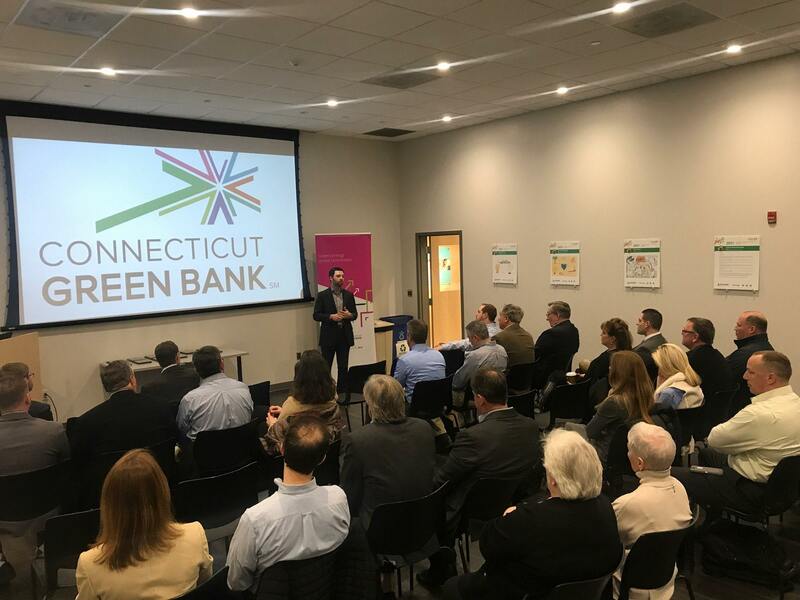 Rocky Hill, CT (March 15, 2018) – The Connecticut Green Bank announced the winners of the 2017 PACEsetter Awards during a ceremony today at the Energize Connecticut Center in North Haven. The award winners are a driving force behind the success of the Green Bank’s Commercial Property Assessed Clean Energy (C-PACE) program. This is the third annual PACEsetter Awards ceremony. Earthlight Technologies of Ellington & Constantinos Constantinou for their comprehensive solar and energy efficiency project financed through C-PACE at 28 High Street, Hartford, CT, a mixed-use property including residential space. This project included a 52.2 kW solar PV system and upgrades to insulation, LED lighting, windows, condensing furnaces, and HVAC systems. Design With Nature of Avon, CT & Metal Finishing Technologies for their comprehensive energy efficiency project financed through C-PACE at Metal Finishing Technologies’ Bristol, CT manufacturing facility. This project included upgrades to HVAC systems, compressors, interior lighting and windows. Direct Energy Solar, a Centrica Business Solutions company, of Middletown, CT & Durham Agricultural Fair Association, Inc. for their solar project, a Power Purchase Agreement (PPA) secured by C-PACE, at the Durham Agricultural Association Fairgrounds in Durham, CT. The solar PV system at the Fairgrounds is 188.65 kW. Patricia Crisco, Tax Collector for the Town of Woodbridge, CT, who has been a leader in her municipality’s participation in C-PACE. Jeffrey Pugliese of the Middlesex Chamber of Commerce, who has been a driving force in supporting the use of C-PACE to strengthen the business community in the Middlesex region. 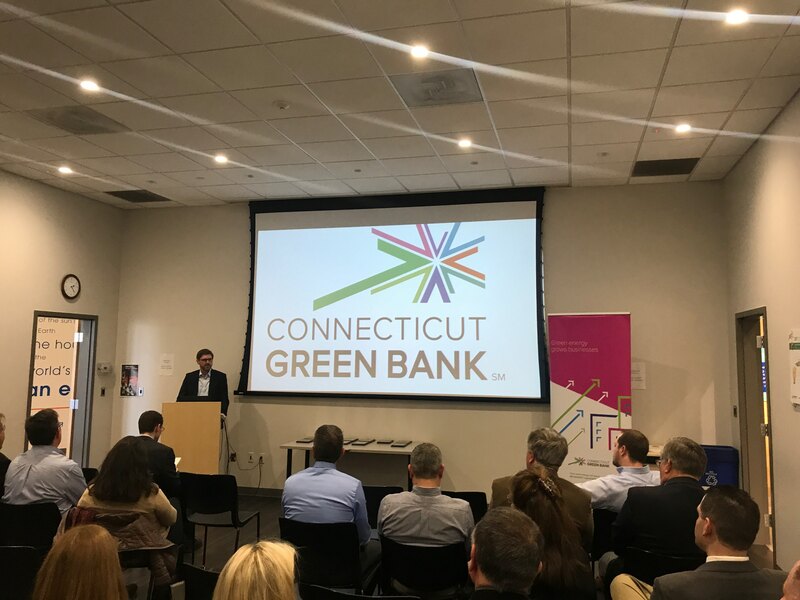 NorthEast Energy Designs and Solutions of Stamford, CT, which is effectively utilizing C-PACE to collaborate with building owners and develop comprehensive C-PACE projects. 64 Solar of Port Chester, NY, which closed five solar projects in 2017 using C-PACE financing and C-PACE secured PPAs, demonstrating how solar and PACE can empower Connecticut building owners.